If you’re seeking a great color for your interior design, you can’t go wrong with Marsala. 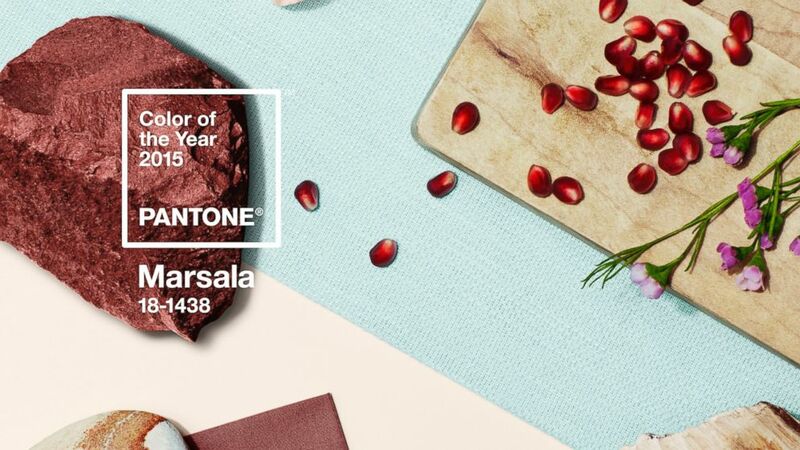 Named Color of the Year for 2015 by Pantone – the arbiter of all things in commercial color and creator of the Pantone color matching system – Marsala “enriches our mind, body and soul, exuding confidence and stability,” according to the company. “Marsala is a subtly seductive shade, one that draws us in to its embracing warmth,” Pantone adds. Named for the popular wine variety, Marsala (Panonte 18-1438) is a tasteful hue that appeals to both men and women, and works well as a wall color or for accessories. And it pairs exceptionally well with a wide variety of tones, including members of the gold, apricot and lilac families, among others. Other colors might not be Color of the Year, but they’re very popular right now. Gray, for example, is the new black. It has an inherent calmness and sophistication. It is also neutral, so it pairs well with many colors, and is perfect for making other furnishings, art and accessories stand out. And don’t forget red, which is still going strong for its ability to add excitement to any room.